So it was just like Melbourne. The rain came down in qualifying and threatened to jumble everything up. 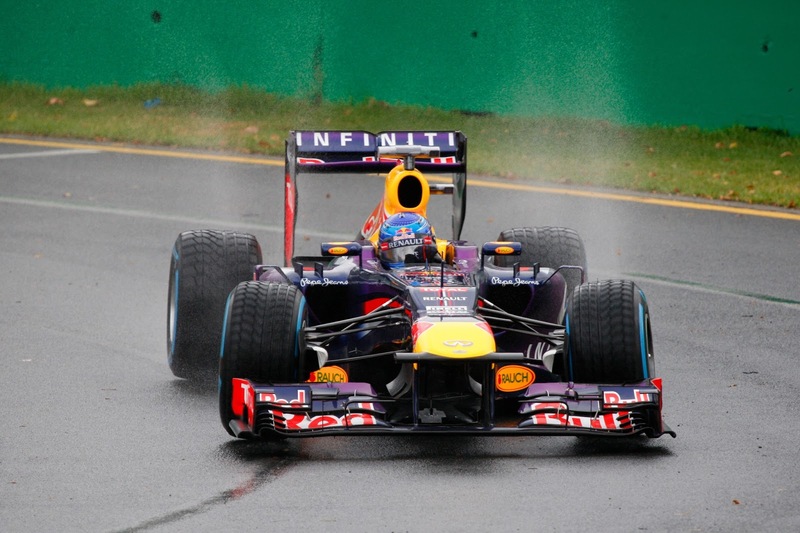 Yet Sebastian Vettel showed that, whatever the weather, he has a knack of coming out on top. But it was the same, only different. As this time Vettel's pace in the dry was unclear, rain rather than being the unwelcome reset button that it was in Melbourne may well have been his salvation at Sepang. It rained just before the second qualifying session was complete, meaning the final session to determine the top ten of the grid was wet but drying throughout, resulting in the timing display rotating rather like that of a fruit machine. And in these circumstances all of Seb's party pieces can come to the fore: particularly extreme bravery and impeccable judgement when the grip beneath him is variable, as well as formidable brain power which he can enact to its full even while pushing a car along at the edge of adhesion. It was vital that Seb chose to change to a new set of inters during Q3 (his team mate Webber didn't and ended up over 2.5 seconds shy of Seb's best). It's not yet clear whose call that was, but given everything that we know about Seb it wouldn't surprise me if the decision to change came from the cockpit. It all meant that pole was his once again, with a best lap close to a second under the quickest of anyone else. Further it all leaves us with a grid fascinatingly poised for tomorrow's race, with plenty of unknowns (both known and unknown unknowns, as Donald Rumsfeld might have said). For one thing, Seb has two Prancing Horses poised menacingly in his mirrors, as they are next up on the starting grid with Felipe Massa ahead once again. It's a long run to turn one at Sepang, and we saw how well the Ferraris launched in Melbourne. Seb could have his hands full right from the off. Just as is the case with Seb, the Ferraris' dry-weather pace remains a relative unknown, and Alonso described their stint simulations from practice as inconsistent. But you'd imagine that they'll be a threat, particularly Alonso who despite Massa having a run of outqualfiying him was the stronger in the Melbourne race where his relentless aggression can be put to good use. Again just like in Melbourne the Mercedes are in the mix, with Lewis Hamilton to start fourth and Nico Rosberg sixth. The Mercs got it wrong on race strategy last week, but Lewis is insisting things will be rosier here. Once again like last week though Rosberg looked a pole contender in a wet session only for the pace to fade when it really mattered. And I'm pretty sure the same happened to Nico in the first couple of rounds last year wherein he looked a pole contender too. Is this something for him to work on? 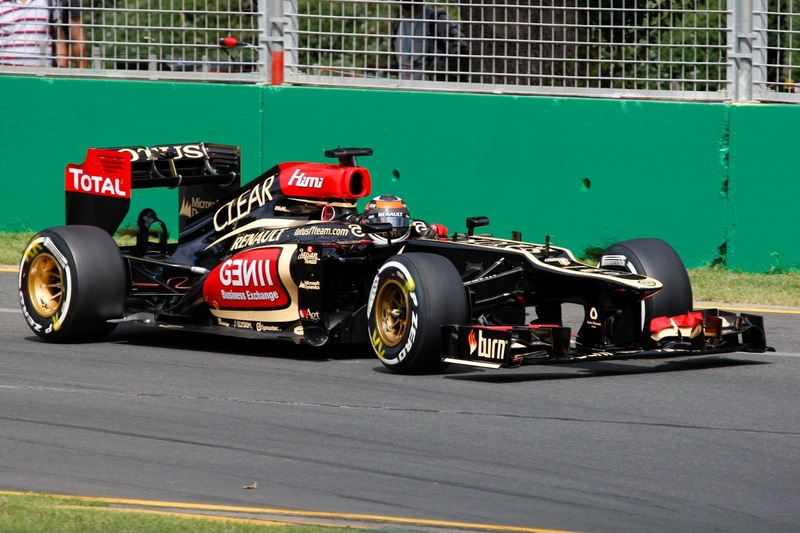 What can Kimi Raikkonen do tomorrow? 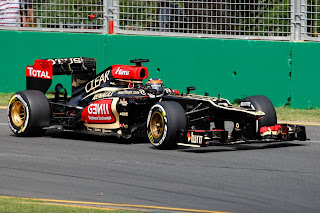 And then of course we have the star of Melbourne's race day, Kimi Raikkonen, now as then starting down in seventh. Precisely what Kimi can do from there is likely to be a crucial facet of the Grand Prix. The car's handing got a bit troublesome in Saturday morning practice, but no one doubts that the Lotus can get life out of its tyres on a Sunday that hardly anyone else can. And to repeat the mantra, the vengeful Pirelli tyres may ruin many a race tomorrow. The rain of qualifying and resultant free choice on tyres to start on takes the edge off a few headaches though. Adrian Sutil looked strong again, and without the rain may have been higher than the ninth he got in the final shake out. And the McLarens made a little progress, though not even the welcome (for them) variable of rain in qualifying could get them higher than eighth and tenth, with Jenson ahead. Furthermore, this is Sepang, which means rain, and vast quantities arriving suddenly, is always possible, which will add one more to the plenty intangibles that are there already. Perhaps the sensible thing is to keep ones predictions to oneself before tomorrow.